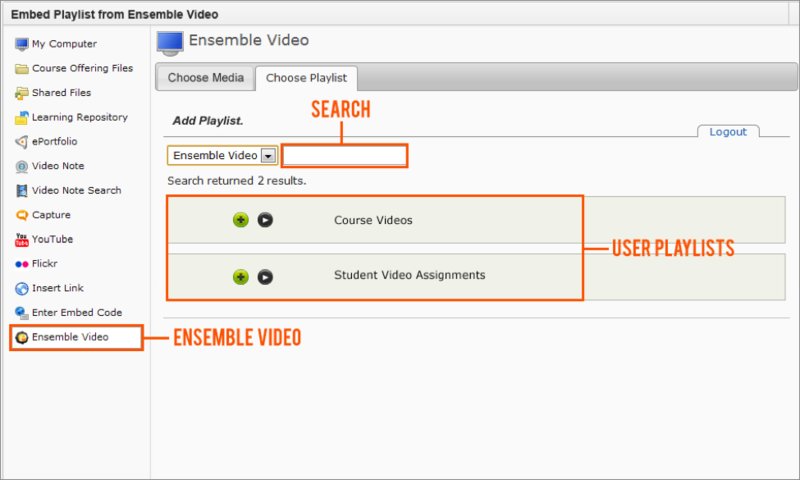 Ensemble Video 3.6 includes a sleek new built-in Desire2Learn (D2L) integration that will enable D2L users to easily upload, search, and publish media into their course using the “Insert Stuff” option, seamlessly delivering video to a wide variety of student devices. To remain competitive in the education market, it’s essential that video content management systems and video platforms develop integrations with learning management systems (LMS). Here at Ensemble Video, we’ve been hard at work cultivating partnerships that directly impact our customers. Our new partnership with Desire2Learn will have an immediate impact on hundreds of educational organizations, including mutual customers like the University of Memphis, Rochester Institute of Technology, Washburn University, Southern Polytechnic State University, and New York Chiropractic College. 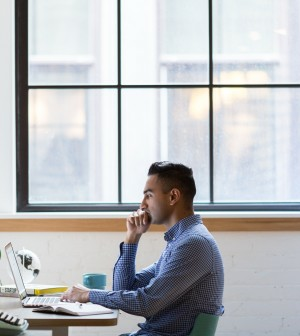 D2L is one of the most popular and trusted learning management systems on the market, boasting a client-retention rate that’s among the highest in the industry. Already in use in hundreds of universities and colleges, with no signs of slowing down, D2L is committed to inspiring innovative ways to teach and learn. The LMS provides an engaging experience capable of directly addressing key challenges related to learner engagement, retention, and outcomes, representing a shift from the simple course management capabilities of an LMS to a highly pervasive, perceptive, and personal learning experience. 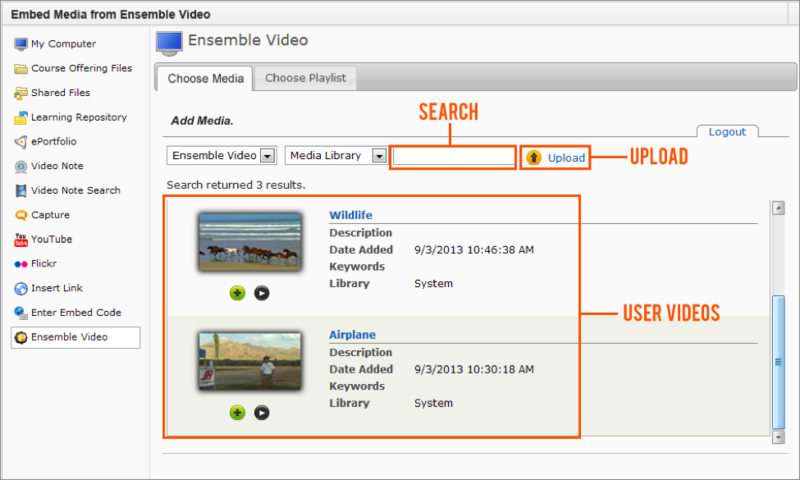 We are psyched about the new Ensemble Video/Desire2Learn integration, and we just cannot wait to put it in your hands. Technically, the Ensemble Video D2L integration is a powerful LTI tool, designed to simplify life for faculty members, D2L administrators, and students. 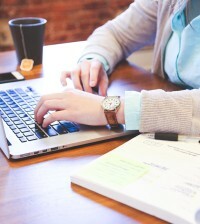 When users log into their D2L course and click the “Insert Stuff” button in the text editor, they will find an Ensemble Video option, enabling them to upload media (from their computer or mobile device), or tap into their Ensemble Video media library and insert single videos or searchable playlists to enhance teaching and learning. Ease of Use for Faculty Members: Videos can be uploaded or inserted with two or three quick clicks. Deliver Video to Student Mobile Devices: Videos play on popular mobile devices like iPads, iPhones and Androids. Increase Video Security and Access Controls: Videos can be delivered to the proper user or group, using Ensemble Video’s security and access controls. Efficiently Deliver Media: Ensemble Video delivers media using streaming servers, not progressive download. Streaming servers are designed to efficiently deliver video and audio content, whether it is a long three-hour lecture or a short three-minute clip. Significantly Reduce the Amount of Storage Used in D2L: The integration enables simple video embedding and streams an optimized video, This means your content is stored on Ensemble Video servers, and never in D2L. Lastly, we should mention that D2L customers need to be on D2L 10.3 to utilize this integration. 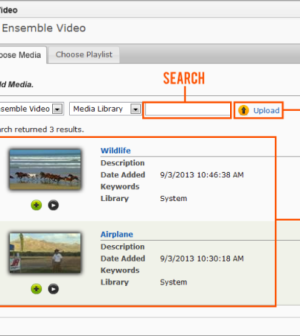 We hope you are as excited as we are about the Ensemble Video Desire2Learn integration. With this integration both of these popular platforms just got better! Click here to learn more about our LMS and CMS integrations. For up-to-the-minute news on Ensemble Version 3.6, follow us on Twitter and sign up for our e-newsletter: The Ensemble Beat, released 2-3 times per year.